I only realised i missed them when i started reading it again. Jude, and her sass. Cardan and his... Well, i do not really know what to say about him. All book long, he seems to have absolutly no interest in anything. But as always, nothing is what is seems with Holly Black. then, i re-re-read the last chapter, and all i could say was "it is perfectly logical." As in, for real. this is the most perfect ending we could hope for. The evolution of the characters is perfectly logical, and everything fits perfectly. And, well. With holly black, no more happy endings, right ? 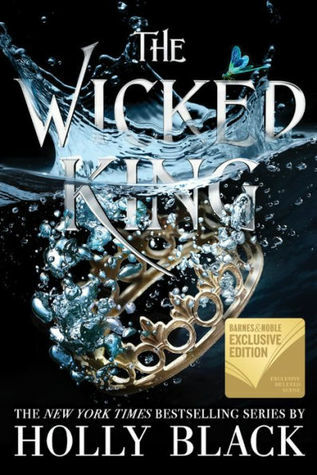 Sign into Goodreads to see if any of your friends have read The Wicked King.